Leslie Gordon of Lima gets her blood pressure checked by Yvette Hauenstein, a nurse at Lima Memorial Health System. 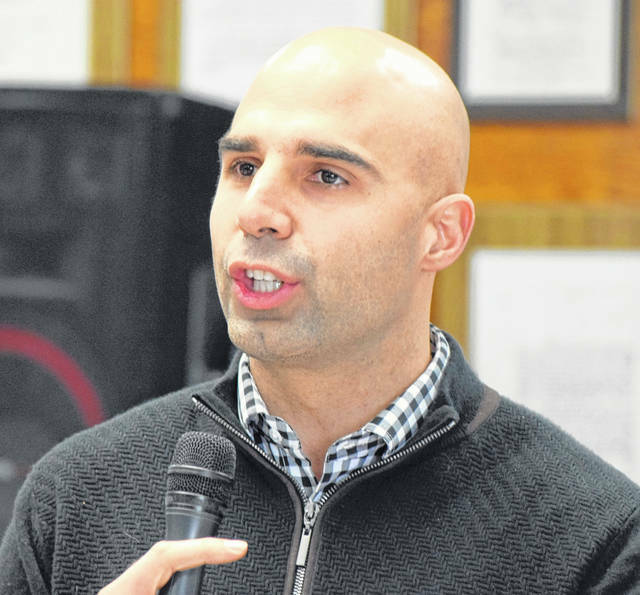 Former Cleveland Browns quarterback Bruce Gradkowski was in Lima Saturday for the Bridging the Gap Health and Wellness Expo at Lima Senior High School. 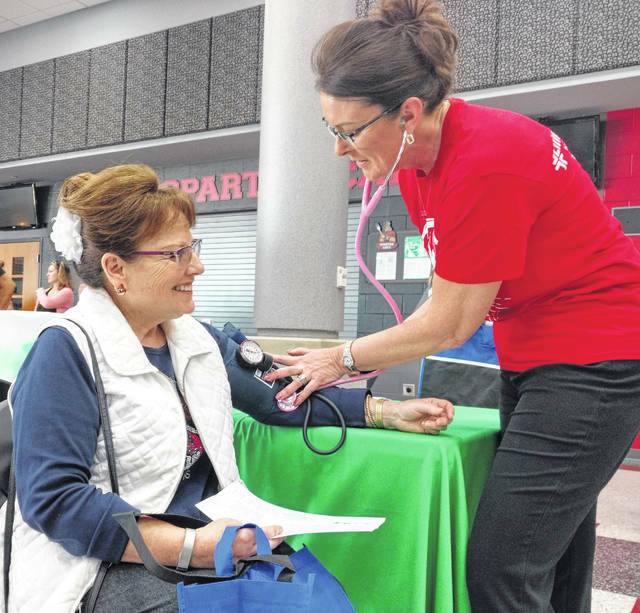 LIMA — Lima area residents learned more about keeping healthy at the annual Bridging the Gap Health and Wellness Expo, held at Lima Senior High School on Saturday. More than 40 vendors handed out information or even test for a variety of conditions. “We’re trying to bridge the gap for health care disparities. There’s a lot of people who do not have access to health care so therefore they know if they got health problems. This is an annual screening event and health and wellness promotion to help those folks that may not have access to get care any other way,” said Cheryl Nagy, event coordinator. At the event, people could get their blood pressure checked or find out if their blood sugar is high. For the first time, people could get checked for sickel cell anemia. Nagy says it’s important to know your numbers. “The reason you know your numbers is because then you can make good choices about how to take care of yourself. If you don’t know if you have high blood pressure you don’t know you’ve got diabetes you could get really sick really quick and not be anywhere near where you need to be health-wise,” she said. Nagy says there are some simple things you can do to help. “Watch your salt intake. Drink water. Even just to get up and walk a little bit will help. Walking helps tremendously,” she added. As part of the event former Cleveland Browns quarterback Bruce Gradkowski talked about the importance of staying healthy. “I’ve played sports my whole life and it’s more than nutrition. It’s about being active out in the community and take care of yourself and add in the nutrition side into it. I have family members that have diabetes and they have to do the right thing to help the best they can along with some medicine. It’s encouraging people to make sure they’re getting their yearly checkups or more frequent health exams because if there’s things that we can either catch early to give you more time to cure it and get over a health issue or just for preventative to know where you stand so you can continue on the right track,” said Gradkowski.